My name is Kyle McAuliffe. I currently work as a Senior System Administrator. 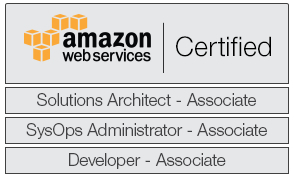 I have my hands in a lot of things such as AWS Solution Architecture, Project Management, running an IT team of eight, Linux administration, systems monitoring, networking, database administration (MongoDB and MySQL), RabbitMQ, and more. Aside from work, I enjoy homebrewing beer, frisbee, and more recently running and biking. I hope to keep this up to date with useful tech tips, as well as an occasional personal post.